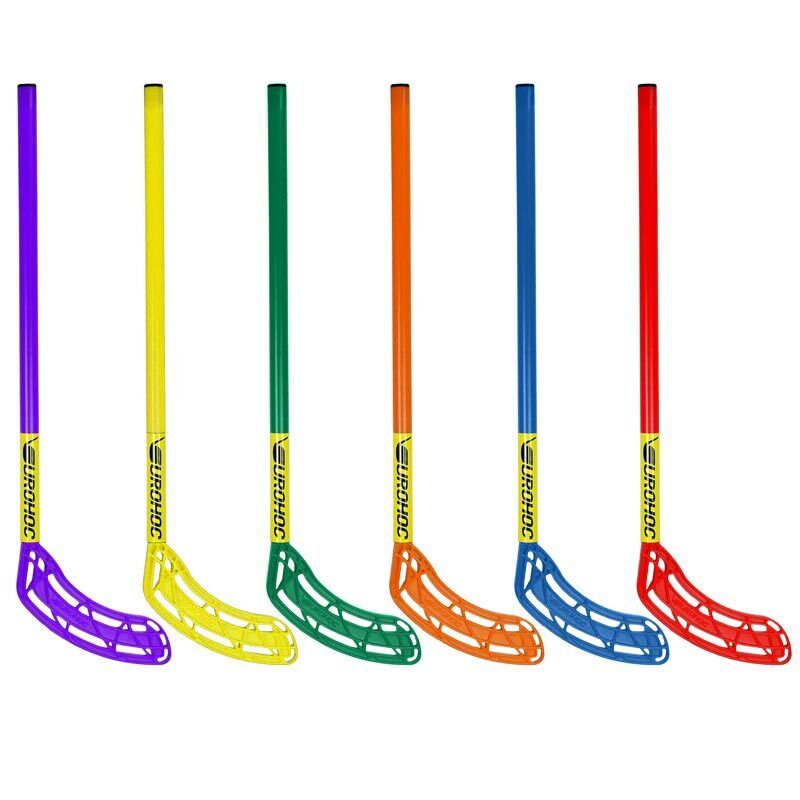 Eurohoc Floorball Mini Stick - mini size, 70cm stick. The game is played in the UK, Europe and America with great success because it is safe, easy to learn and emphasises movement and alertness, rather than strength or height. The number of players vary to suit the size of the playing area available, whether on indoor surfaces or outdoors on tarmac or grass from 3 to 6 per side. Stick - shaft diameter 25mm, shaft length 52cm, total length of the stick is 70cm. Also available as set. Please search on our website for Eurohoc Floorball Mini Set.